Real Asian Beauty: Personal : Facebook ad Instagram Question & Answer +Shout-outs! Personal : Facebook ad Instagram Question & Answer +Shout-outs! Hello! 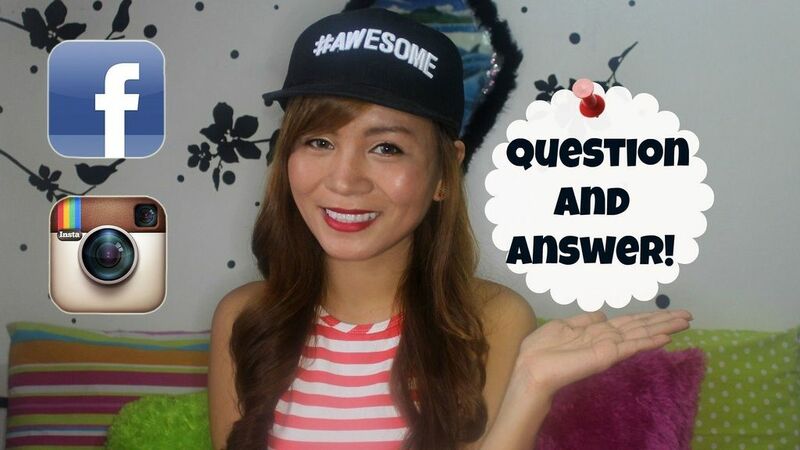 I finally uploaded the Question and Answer video on our YouTube channel! If you are following me on Facebook and on Instagram and left a question or liked the photo that I posted, then I am sure you will like this new upload! I posted the photo and asked you guys to leave me questions that you want me to answer in the video. The questions that were posted were all fun and interesting so I decided to just answer them all. That's why the video took forever! I hope you still enjoy it! I also said hi to 10 Facebook followers and to 10 Instagram followers! Let me know if you guys would like to see a video like this more often. Personally, I think it's fun and it's almost like we're having a group chat, though it's not live. hehe I enjoyed filming the video and answering the questions so I hope you also enjoy watching it. Thanks for reading! I'll talk to you again soon!